 The Cranbrook-Kimberley Development Initiative (CKDI) is a non-profit society, formed by local business leaders, the mayors and key municipal staff to present the two cities as one economic zone. This initiative was conceived by the two current mayors – Lee Pratt of Cranbrook and Don McCormick of Kimberley. For many years, these two cities competed against each other for jobs and business development opportunities. All that changed when these two mayors came up with a better way to move their cities forward as they realized what was good for one city was also good for the other. The aim of CKDI is to attract new business to the region, produce well-paying jobs, facilitate growth, increase the population and reduce upwards pressure on tax rates. To achieve these goals, the initiative wanted to create a pool of marketing funds that was independent of the tax base and the municipality. These funds were created by reaching out to the business community for support. An eight-body board was formed to oversee the funds with a focus on maximizing the countless advantages of locating a business in the two cities, as opposed to setting up a business in other major cities. “I think it has brought the two communities closer together,” said McCormick. Four thousand cars go back and forth between Cranbrook and Kimberley daily. To read more and discover the advantages of living and doing business in the Cranbrook-Kimberley Development Zone, we invite you to see the full article.